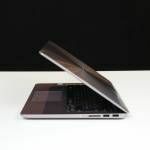 We’ve got to say that Asus appears to be leading the Ultrabook pack from a value perspective. 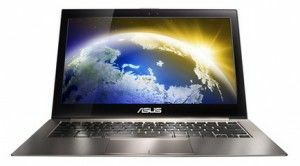 The Zenbook Prime leverages Asus’ original Zenbook design while equipping premium features and Intel’s new Ivy Bridge platform, all for a surprisingly attractive price. 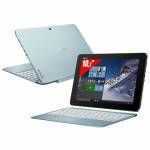 For detailed specifications see the UX31A tracking page in our Ultrabook database. 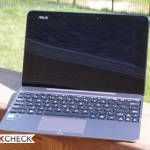 The biggest complaints about the original Sandy Bridge-based Zenbook UX31E were the keyboard and screen. Both of which have been reworked in this new model. The IPS display is leading the laptop market in contrast ratio, and AnandTech says that the (now backlit) keyboard “is worlds better to type on”. US — If you’re interested in the UX31A-DB51 as described above, take a look at it on Amazon’s page here [affiliate link]. If you’ve got a bigger budget, Amazon is offering a $1599 option which is currently listed as shipping in 3-6 weeks. This is the UX31A-DB72 [DE: UX31A-R4003V] and includes all of the above except it bumps the processor to the Core i7-3517U and the SSD up to 256GB. There’s also a middle ‘Amazon Exclusive‘ option which gives you the 256GB SSD with Core i5 for $1349 (it’s currently out of stock). The Zenbook Prime UX31A has shaped up to be a very attractive device thanks to solid pricing. Our only reservation is the port set which uses micro HDMI and mini VGA where we’d prefer to see full-sized ports, and although both USB ports have been updated to USB 3.0 over the original, we still think that a third USB port would be very useful. Looking good. Can’t wait till its available in uk! Looking good. Can’t wait till its available in 8GB! 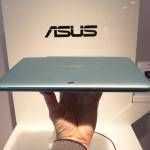 According Asus UK, no plans to release in UK and the staggered release across Asia, Europe and US excluding UK is a embaressement. …no plans for which of the 3 models? ux32vd, apparently no plans to release it. Maybe to do with the fact they have priced ux31a at disgraceful £1850. I wonder if that means that the Scandinavian version with a 128GB SSD might get an addition with 256GB SSD. One can always hope. A bit of a warning when it comes to the ux31vd – it apparently has a problem when it comes to light bleed from the edge of the screen with a lot of customers. 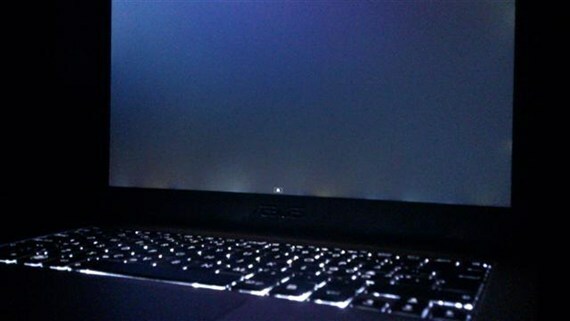 Hmm, the rest of the Zenbooks might suffer the same light bleeding. Not all of them have it though, and most report that it’s less visible after some usage. MP, where are these photos from? They have a few threads about the UX31/32:s and this was something that that was observed by several new owners. Is the RAM, SDD/HDD replaceable? I don’t even know what to say, but a “lol” seems in place. If it indeed is £1850 it’s plain ridiculous. 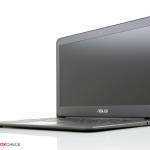 Should mention this is the ux31a not ux32vd but still £1000 more than US price. I assume since the original was a pc world exlusive in UK, Asus are using the same trick. I would wait for street prices to settle. This looks like Comet just sweeping up some profit from the early adopters. Really any ideas when the full retail release in UK is? 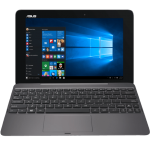 Asus won’t comment, and previous Asus UX31 was an exclusive to Dixons/Pcword chain so will other chains even be able to pick it up? Newegg US and Canada have the UX 32a but they’re all shipping with last gen SandyBridge CPUs… a real shame. I’m really, REALLY interested in the UX32a Ivybridge release but it doesn’t look like they’re going to release an i3 Ivybridge version of the 32a…. I’d really like to test out a UX32a with some sort of Ivybridge set to 13watt TDP to see what the battery life looks like. I’ve now got the ability to get some hands-on time with most ultrabooks and I’m going to see if i can just start running MobileMark on them to get some battery life comparisons with an without the 13 watt TDP setting enabled on a few Ivy Bridge models as they come in. -This is what I’ve been dying to see but as far as I know no one has tested this yet.